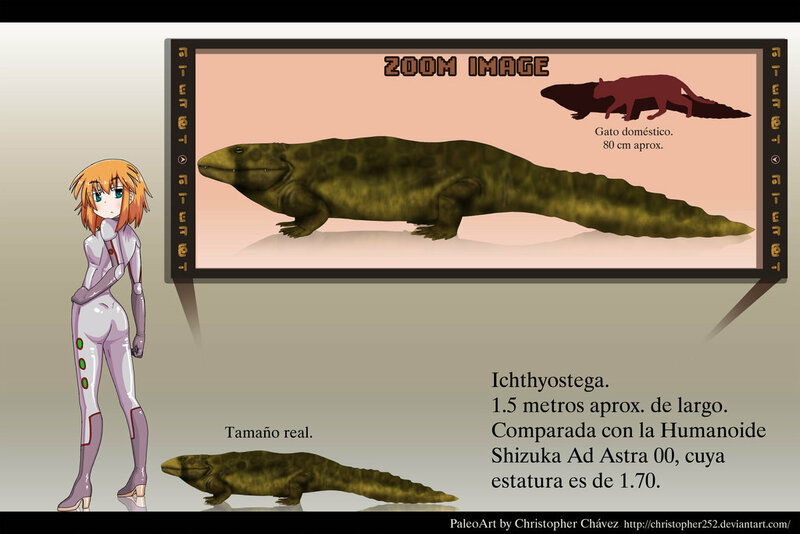 Years before tetrapods like Tiktaalik came to be known as the first links between fish and tetrapods, Ichthyostega was the specimen that paleontologists held up as one of the first fish-like creatures to crawl out of the ocean and onto land. 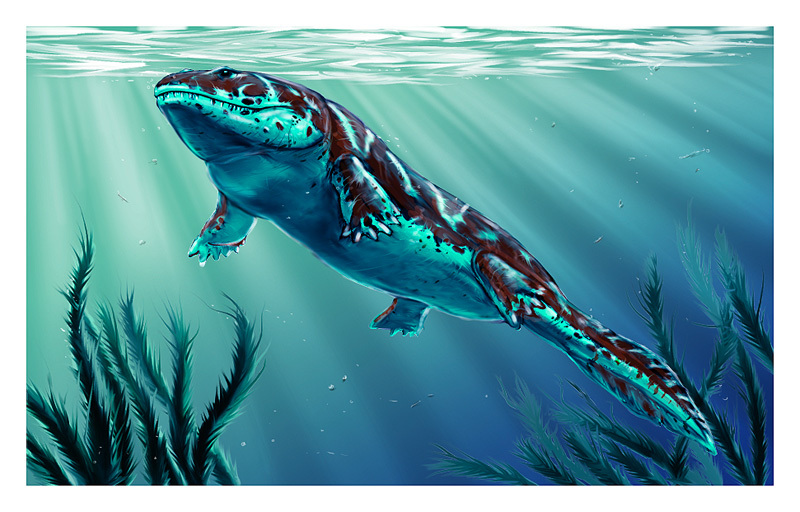 As you can probably tell from Ichthyostega pictures, these tetrapods are a strange mix of fish-like features and traits that would later be found in amphibians. 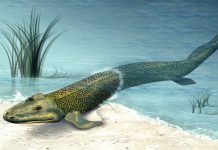 One of the coolest facts about Ichthyostega isn’t that it had webbed feet, but that it had the ability to breathe air – for at least short periods of time. 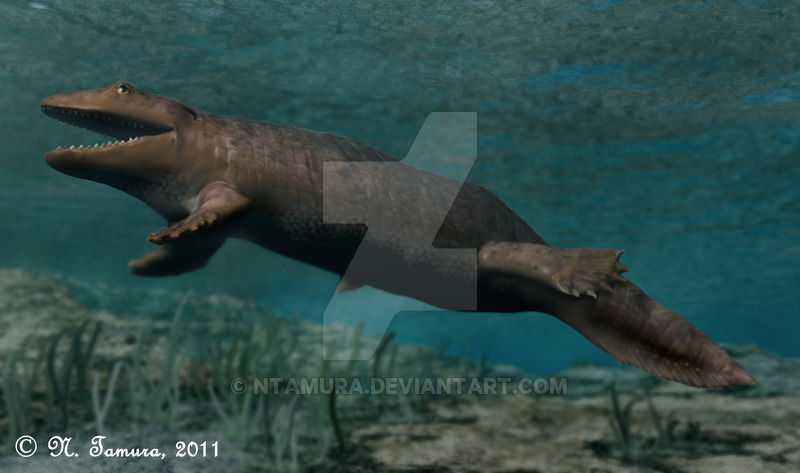 However, even with this amazing ability, it probably didn’t spend a whole lot of its time on land. Most likely, it spent 70-90 percent of its time underwater. That’s because it is pretty heavy and its legs aren’t just strong enough to carry its stout body around. 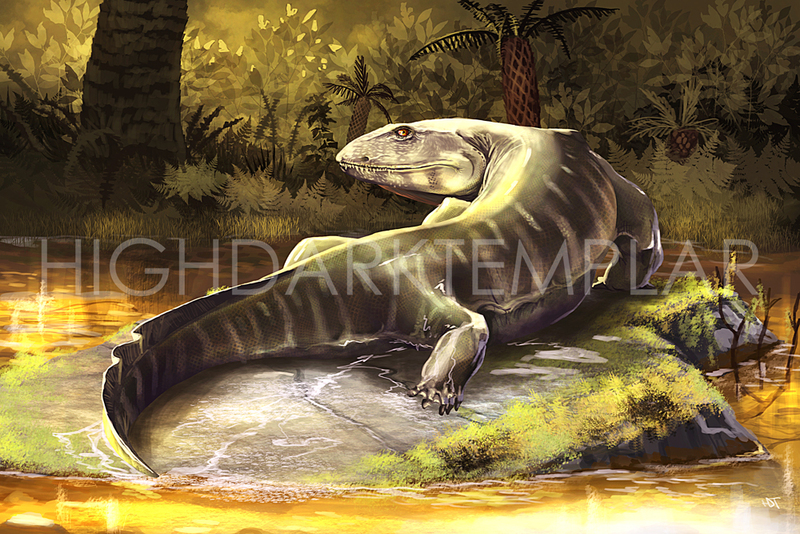 Ichthyostega was approximately 5 feet long and weighed around 50 pounds. 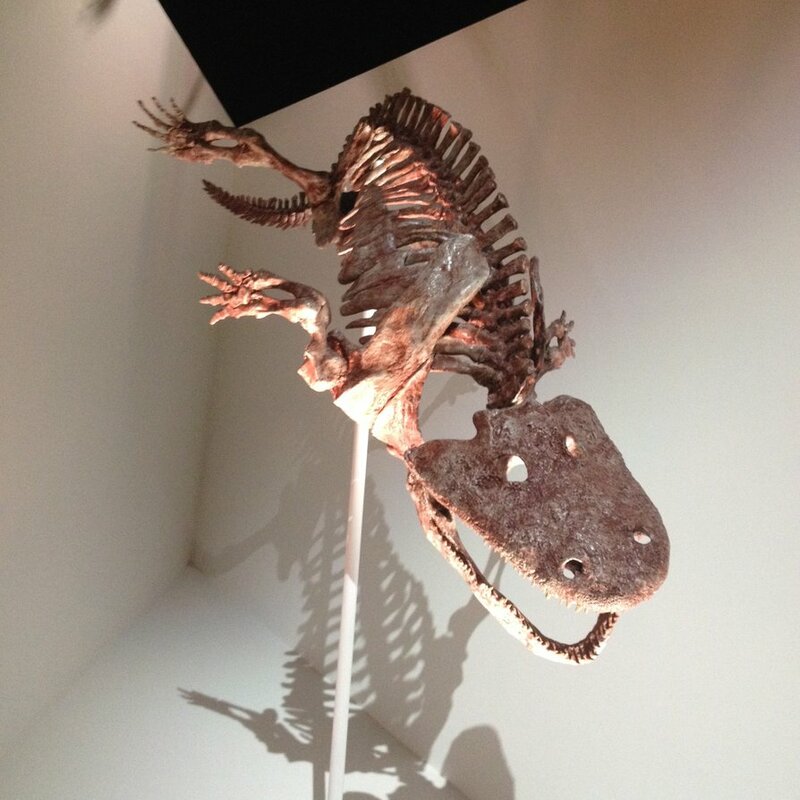 It sort of looks like a cross between a fat iguana and an alligator. 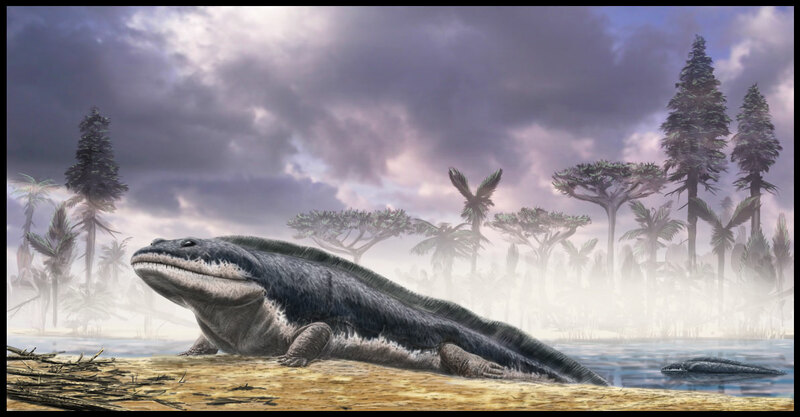 It most likely lived off a diet of wish, or maybe small land lizards when it was ashore. 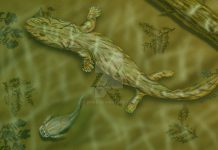 It probably had to move its body around much in the same way as a mudskipper amphibious fish does. It would accomplish this by scrunching up its body and moving very slowly. It probably couldn’t have walked on all four legs because its legs wouldn’t have had the necessary range of motion.